With Gamescom in full flow, Microsoft have dropped a few tidbits for Xbox Live and the new Windows Phone Mango Platform coming next month. “Avatar Awardables: Like achievements—but wearable. Once unlocked, these items will automatically appear in your avatar closet and can be worn on your avatar’s sleeve as a badge of honor. “Chickens Can’t Fly,” a forthcoming Xbox LIVE release, will be among the first titles to feature them. Game Add-ons: In the Xbox LIVE title “Beards & Beaks,” players can purchase extra mushrooms and other items from within the game using Microsoft Points. In the months ahead, keep your eyes out for more titles in Marketplace that let you buy in-game add-ons and downloadable content like extra weapons or levels. 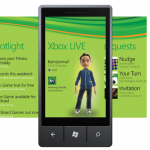 Parental Controls: The next release of Windows Phone gives parents more control of what content their child can access on Windows Phone, including M-rated (Mature) games. The first M-rated Windows Phone title, “Splinter Cell: Conviction,” is scheduled to arrive in the Marketplace later this fall. Should Anyone Be Denied Internet Access? The BBC’s Click show posted an interesting item on their website this weekend. Well according to Frank La Rue, the UN’s Special Rapporteur, internet access should form part of everybody’s basic human rights which is a thought borne of the principle that the internet is a tool which contributes to the “progress of humankind as a whole”. Check out the whole article and leave your comments below. In a time when the internet is the subject of policy makers in governments across the world, especially with copyright infringement on the agenda, then this adds a very interesting viewpoint to the whole debate. It seems you can get away with many things in life if you claim punishment or consequences are against your human rights, but the internet has been a positive tool in recent months particularly in spreading democracy and free speech, so really, should it not be available to all to protect civil liberties and as a basic form of communication? Let me know your thoughts. When you’re device has been stolen, one work around for the thief was to turn it off! While off, the phone can not be traced. Well now you will receive an email if the device is switched back on and located. If you lose/forget/throw away (madness) a device, you can now also remove it from the Find My iPhone device list. So there you go, two simple but good additions and thieves watch out! 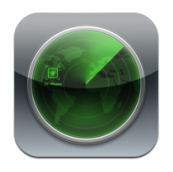 Don’t forget though, you need to configure Find My iPhone on your device first for it to work. If you are a fan of reading your comics from an iPad (as we are), then there was some great news today. The news is that all new print comics from DC (Batman and Superman being the tip of the giant offerrings) will be released in digital format at the same time. This is great news and the change is to take effect from 31st August 2011. No announcement on any special arrangements for such downloads, we guess via the official iPad DC Comics App. Now lets see how Marvel react. Great to hear your views, is it the end of the traditional comic store (lets hope not)? 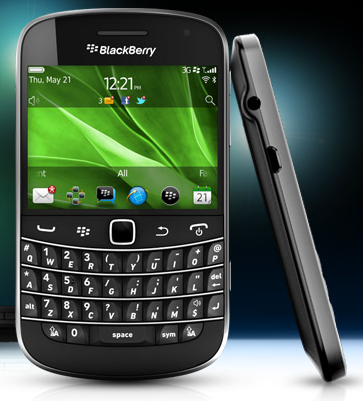 Check our the excellent hands on video from crackberry.com on You Tube. As our 9700 has only just been updated with OS 6 which is awesome (see our post), can’t wait to see OS 7. Lets us know your thoughts, comments and whether you will be buying the 9900 in the comments section below. So just to hot up the relationship with Apple, Amazon has now launched a download app store for Macs competing directly with the official Mac App Store. The Mac Download Store is not quite as nifty as the integrated OSX Mac App Store but still with some desirables not available on the official download spot such as Microsoft Office and Toast 10. From a consumer point of view, lets just say that healthy competition will hopefully be good for all of us buying Mac Apps! Apple may feel differently.